We start our Sacred Ireland Journey in the Burren. This is one of the most feminine, fairy-filled landscapes in Ireland. Its vast expanse of soft, uniquely constructed limestone creates a reviving and mellow atmosphere. There are other inspiring landscapes in Ireland, and to contrast the magical Burren with some more legendary landscapes we visit County Sligo where Ben Bulben and Queen Maeve’s tomb fringe either side of the deep bay of Sligo. If you wish you may visit Croagh Patrick, the most culturally revered mountain in Ireland, en route. 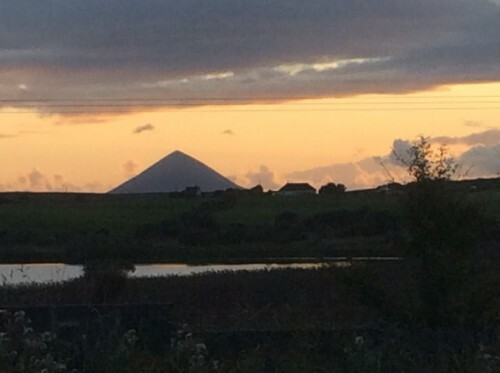 Croagh Patrick in County Mayo is almost pyramidical shaped and has been the focus of pilgrimage for centuries. 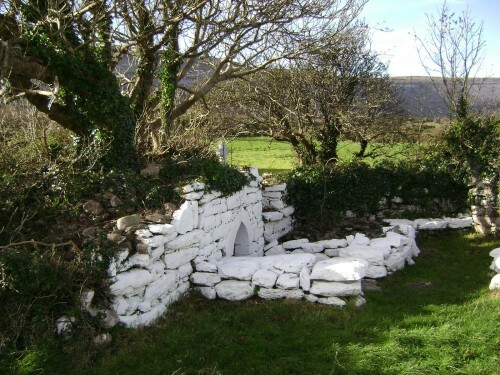 It is believed to have been an important pagan site too, and the pleasant town of Westport lies nearby. The fairy glen in County Sligo is a hidden treasure not to be missed. It is a classic example of the way polarities work in nature to create a harmony. 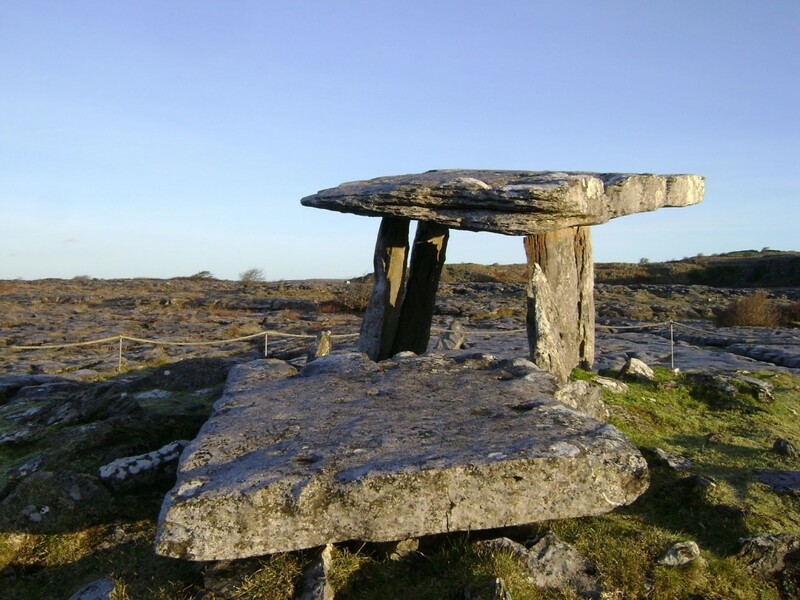 The tombs of Carrowmor and Carrowkeel align with many sites across Ireland. One important ley goes to Mount Sinai! This tour covers a vast period of monuments from some of the earliest prehistoric cairns in Europe to early Christian sites. We witness glorious natural sites too where there are exquisite energies. These are often perceived fairy sites. The monuments visited are complex and I will offer you some interpretation based on my knowledge of ley lines and earth energies. However, I am there primarily to facilitate and deepen your own experience of the sites. The tour does not cover vast distances, giving you a chance to chill out and refresh yourselves within the relative brevity of the tour: 4 days. 4 days €840 for guiding and notes with fully insured guide. Car hire, accommodation and expenses for guide additional (first two nights no overnight costs). Price quoted for car groups / individual. Deposit £300.